Woolworths Employees Credit Union (WECU) is a provider of credit cards, home loans, personal loans, car loans, bank accounts, term deposits, home insurance, health insurance, car insurance, and travel insurance. If you’re considering a Woolworths Employees Credit Union credit card, check out what’s available below in our comparison table below. This table is based on a monthly spend of $2,000 and is sorted by our star ratings (highest-lowest). For Woolworths Money Credit Cards, visit this page instead. At the time of writing, WECU has one credit card in its product range – the Visa credit card. 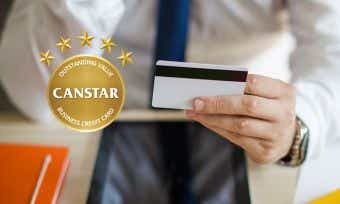 If you want to apply for a WECU credit card, you can apply by comparing credit cards on the Canstar website and applying online for the card of your choice on the WECU website, or by calling 1300 366 767. In addition, WECU requires you to have your WECU member number, and two personal references who are not currently living with you. How do I activate my Woolworths Employees Credit Union credit card? You will have to activate the card when it arrives before you are able to use that card. Activate the card using the mobile banking app or online banking, or by contacting a member of the WECU team on 1300 366 767. Can I manage my Woolworths Employees Credit Union card online? To register for online banking, follow the online banking link on the WECU website or download the mobile app. WECU credit cards are also compatible with the Android Pay digital wallet, allowing you to make secure and simple purchases by simply tapping your phone. How is interest calculated on my Woolworths Employees Credit Union card? Interest is charged when you carry a balance on your WECU Visa credit card. Interest is charged on cash advances from the date of withdrawal and balance transfers from the date of transfer (fees and charges apply). Up to 55 interest-free days apply to the WECU Visa credit card. Interest-free days apply if you have paid the balance in full for the previous month’s statement and for the current month’s statement. For more information about interest-free days, check out our article on how they work. What will my credit limit be on my Woolworths Employees Credit Union card? The minimum credit limit on any WECU credit card is $2,000 (see above), but the maximum credit limit will be determined based on the information you provide in your application. You can ask WECU to adjust your credit limit at any time, and they may approve or reject this request based on their lending criteria. Find out more about how credit limits are determined here. How do I close my Woolworths Employees Credit Union credit card account? You can close your WECU credit card at any time by contacting them on 1300 665 553, by emailing info@wecu.com.au, or by visiting a local branch near you. If you’re cancelling your card because of financial hardship, then contact the WECU hardship assistance team to find out about possible solutions. Woolworths Employees Credit Union, or WECU, is a credit union that offers financial advice and services only to employees of the Woolworths Group and their immediate families. Founded in 1971, WECU’s vision is simple: to be the preferred provider of financial services to their employees. It also operates under the principle of ‘once a member, always a member,’ meaning that you can continue to use WECU’s products even after you’ve left your respective company. As a customer-owned institution, WECU is owned by its members and its profits go towards giving its members more competitive rates, products, and services. WECU also strictly complies with the Customer-Owned Banking Code of Practice, ensuring that it maintains a high degree of transparency and fairness. According to its 2016 Annual Report, WECU has almost 20,000 members Australia-wide, and holds just over $100 million in total assets under management. WECU also has a number of societal and environmental aims. As a part of its corporate responsibility program, WECU aims to improve the financial literacy of all of its members and encourages them to practice sustainability in their everyday lives. Additionally, WECU also supports CUFA, an international agency dedicated to fighting poverty across the Asia-Pacific region. WECU encourages their employees and members to donate to a village in countries such as Cambodia and Laos in order to improve employment, education, and the general living conditions there.